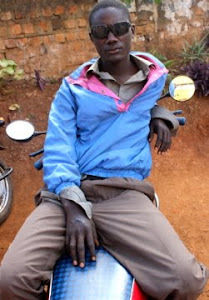 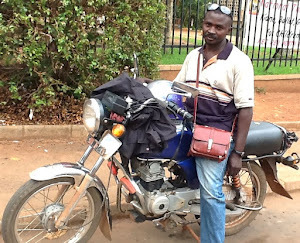 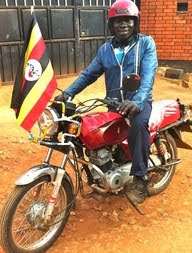 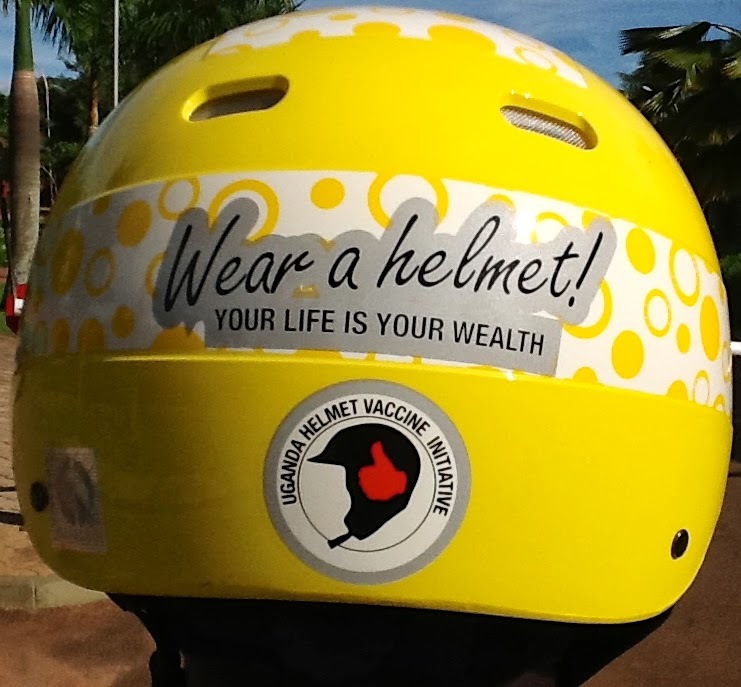 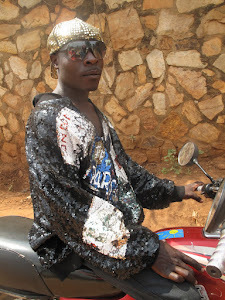 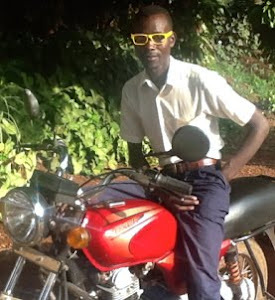 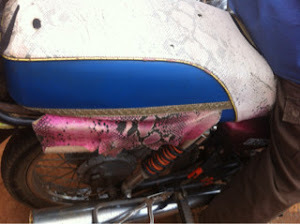 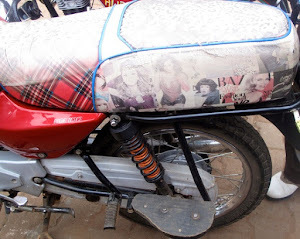 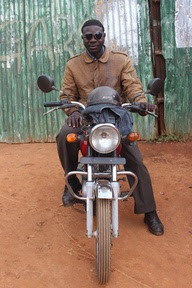 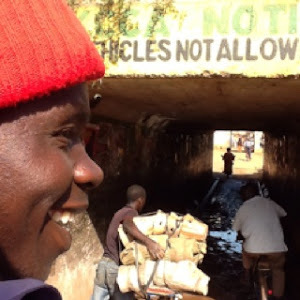 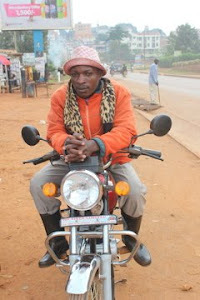 Bodaboda Baby: Watch your back, Fabric! 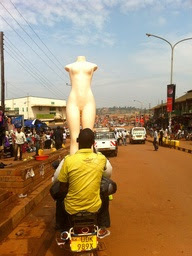 Nightclub on wheels hits Kla. 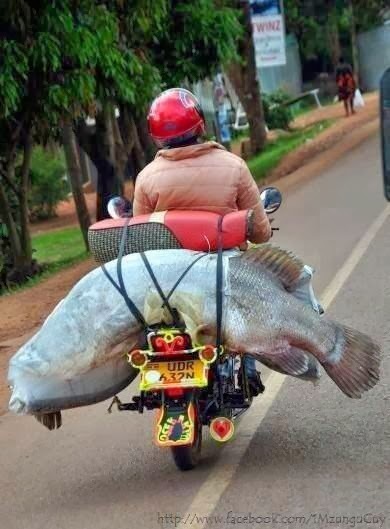 Watch your back, Fabric! 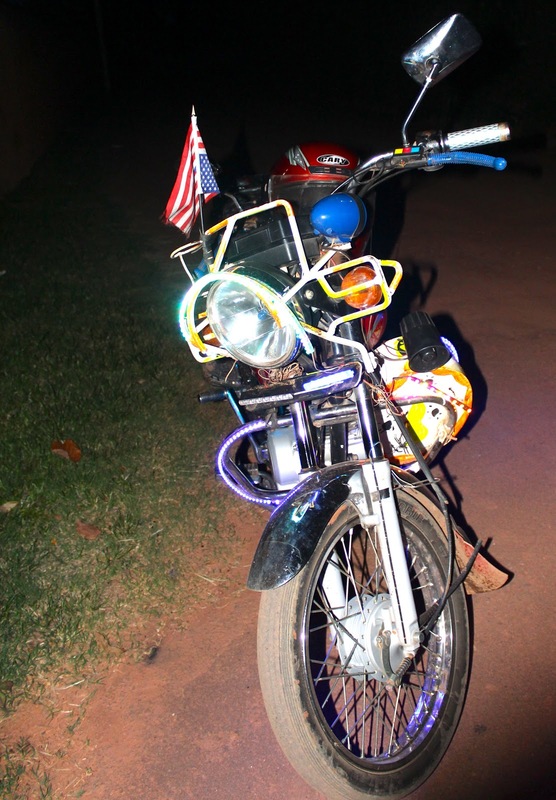 Nightclub on wheels hits Kla. 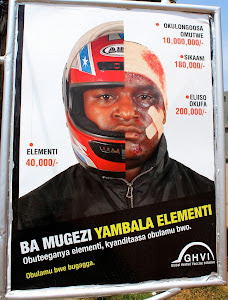 So sang the Bangles, and that's exactly how Bodaboda Baby felt this morning. 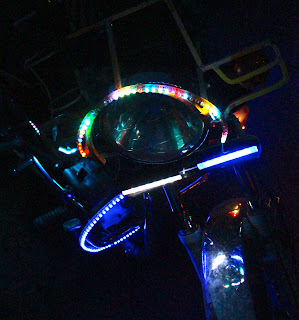 She was also in a dream at six o'clock, although it didn't have anything to do with kissing Valentino. 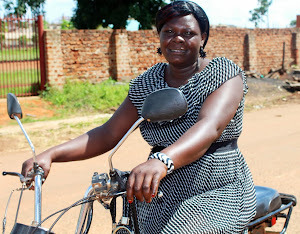 Rather it was a dream - nightmare - about having nits after buying a South Sydney Rabbitohs hat at Owino market, which ended up with her waking up and nearly tearing all her hair out (more on this in the next post). 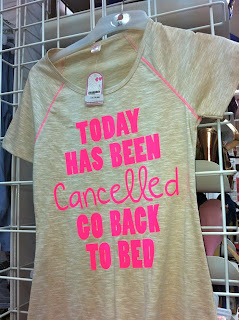 In fact the Mr Price shirt above sums up how the author of this blog was feeling. 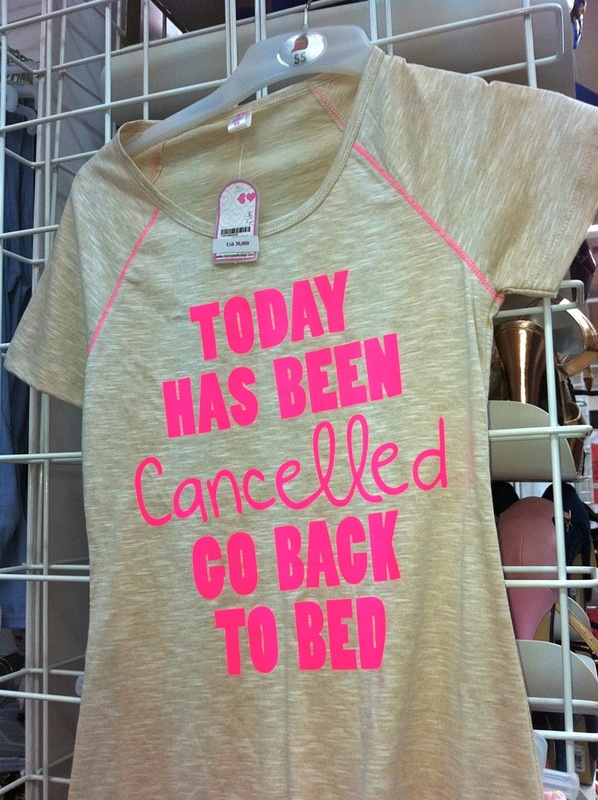 And the song "Today I don't feel like doing anything... (which coincidentally seems to get a lot of air time in Ug). 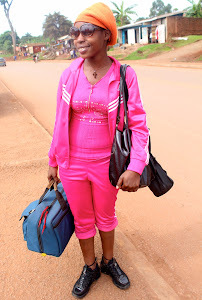 After an evening swim at Speke Resort she perked up. 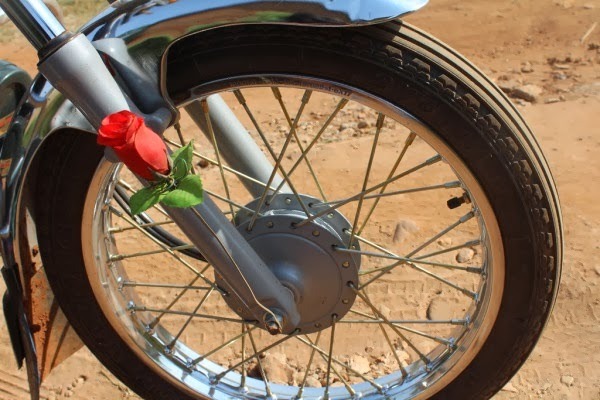 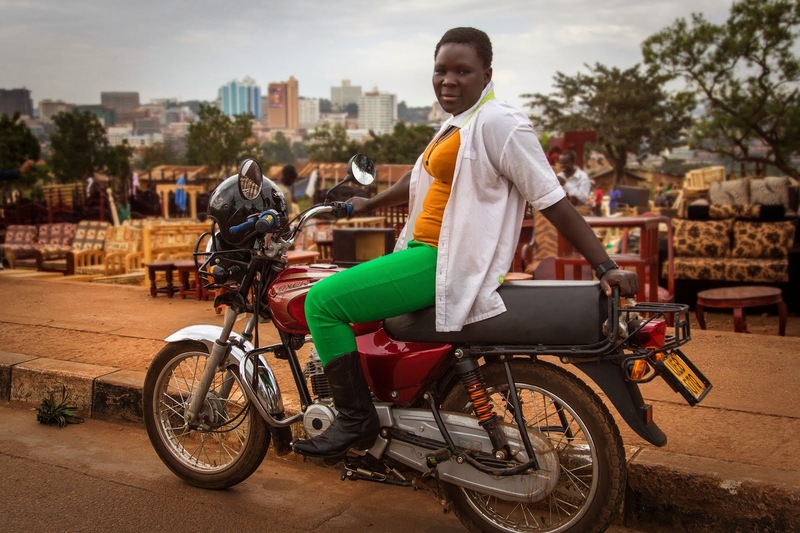 But it was after coming across THE FLASHY BODA below that she felt like she was sleeping in a rosebud, to quote Marnie, one of the characters from her new favourite TV show Girls. And it features a US flag. In fact with all that flashing combined with the music and the stars and stripes, you could be forgiven for thinking it's the fourth of July. 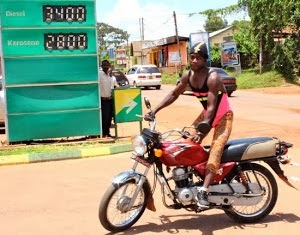 Bodaboda Baby can't help but wonder how much does it cost to keep it on the road like that? 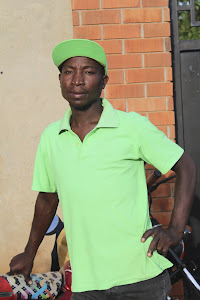 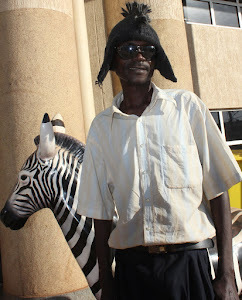 It's owner, Godfrey, who works at Muyenga stage, has promised to reveal all tomorrow.